Morgantown, West Virginia — Followers often think Gina Dahlia, the general manager for 100 Days in Appalachia, comes from New York or New Jersey. Dahlia, a lifelong West Virginian, knows the stereotypes. “Because you seem so educated, and well-spoken, and articulate, you couldn’t possibly be from Appalachia,” she hears people thinking. But Dahlia plans to change all that, she said at West Virginia University’s Reed College of Media, host to the recent “Missing Voices: Diversifying the News” hackathon. Born the day after the 2016 election, 100 Days is an independent, nonprofit news outlet that shares content from Appalachia’s diverse communities with regional, national and international media organizations. It incubated at the West Virginia University Reed College of Media Innovation Center, in collaboration with West Virginia Public Broadcasting and The Daily Yonder of the Center for Rural Strategies in Kentucky. Before 2016, Coester and her colleagues had been working for two years trying to come up with an idea for their own digital news outlet, but it didn’t work out. Then the election happened, and they decided to launch 100 Days as a pop-up news site to cover the first 100 days of the Trump administration. Photographer Nancy Andrews’s photo series “100 Days, 100 Voices” was one of the projects that helped to showcase the scope of diversity in Appalachia when the website initially launched. Andrews traveled throughout the 13 states in Appalachia and took photographs depicting diversity. She showed the varied faces, passions, issues and opinions from around the region. The story of Sara Berzingi, featured early on the website, was part of a 360-degree video series “Muslim in Appalachia.” The series invites viewers into the worlds of Appalachian Muslims navigating Muslim and Appalachian identity while challenging the stereotypes of both. 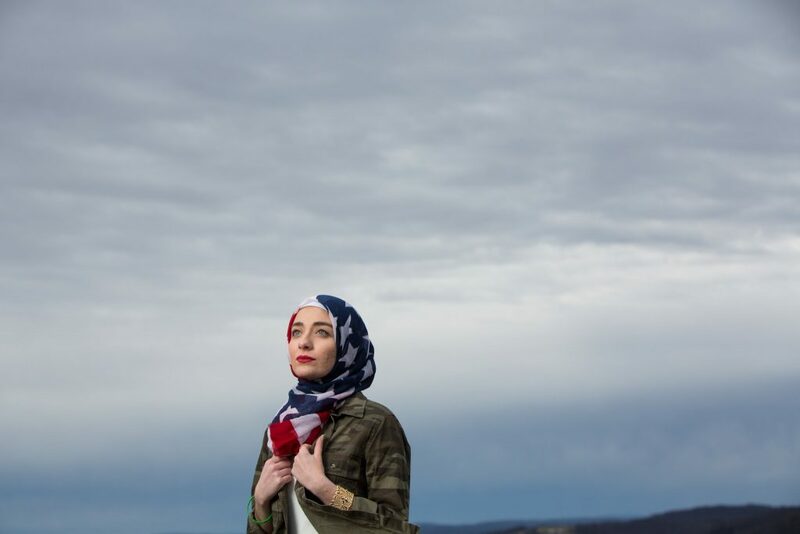 Berzingi, a Muslim-Appalachian with Kurdish roots who has been calling West Virginia home for a decade, was asked in the interview about her response to immigration ban and her reflections on identity. The Appalachian Region, as defined in Appalachia Regional Commission’s authorizing legislation, includes all of West Virginia and parts of 12 other states along the Appalachian Mountains: Alabama, Georgia, Kentucky, Maryland, Mississippi, New York, North Carolina, Ohio, Pennsylvania, South Carolina, Tennessee, and Virginia. However, people view Appalachia through a concentric lens, according to Coester, and focus on the core story about Kentucky and West Virginia, the heart of what most people think of as Appalachia. Initially, 100 Days was launched to push back on national sentiments that had reduced the region to narrow narratives. Now, national media are picking up and republishing the 100 Days stories. This locally conceived news outlet is still looking at the landscape of Appalachia. It will soon launch a community engagement series, Sunday Supper. Co-directed by food editor Mike Costello and religion editor Crystal Lewis Brown, it aims to host dinners in real life homes with accompanying families and conversations to address some of the pressing issues that Appalachia is facing, such as gun control.